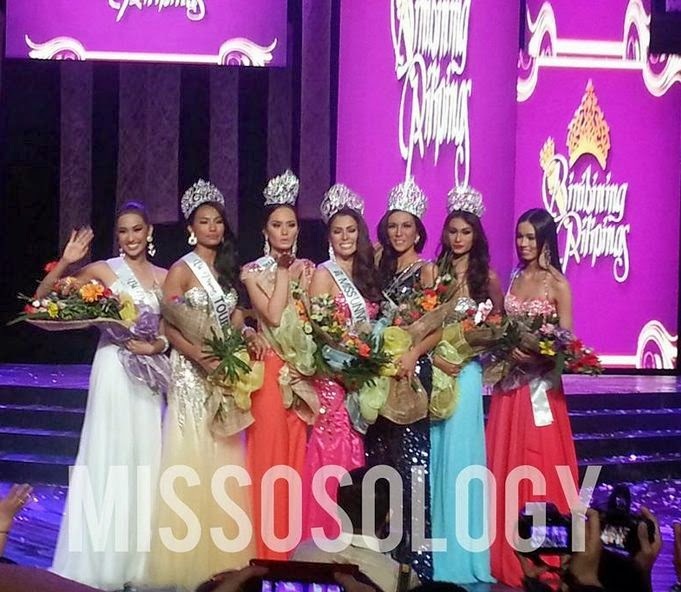 Binibining Pilipinas 2014 Winners: Mary Jean Lastimosa crowned Bb. Pilipinas Universe - Balita Boss! North Cotabato beauty ruled the Binibinng Pilipinas 2014, the 51st edition of the pageant, as Mary Jean Lastimosa was crowned the Binibining Pilipinas Universe 2014 last Sunday, March 30 at the Araneta Coliseum. A 26 year old pinay who bravely dared to join the contest three times before winning, Lastimosa admitted that joining the said competition was of of the toughest decisions of her life. "It was a last minute decision for me to join. I think it was December... I was hesitant, I was praying to God if I was going to join or not," the third-time participant said during the press conference for the victors of Binibining Pilipinas 2014, on April 2. Furthermore, Lastimosa was also announced as the Best in Swimsuit. In the question and answer portion Lastimosa was asked about the greatest advantage of being a woman by Miss Universe 2013 herself Gabriela Isler. “the greatest advantage of being a woman is being able to compose herself. Just like here, we're standing in front of thousands of people, not knowing if you're going to cheer for us or boo us. But we try to compose ourselves. We keep the emotions and show the beauty that is in us and tonight, thousands of people are standing here, celebrating the beauty of women." Mary Jean Lastimosa will represent the Philippines in the 63rd Miss Universe beauty pageant to be held in Brazil. The Miss Universe Organization has not designated exact place or time for the 2014 contest, as scheduled. Meanwhile, Mary Anne Guidotti a maiden rose from Taguig City and a graduate of Ateneo De Manila University was named Binibining Pilipinas International 2014. An Albay native Yvethe Marie Santiago was crowned Binibining Pilipinas Supranational 2014. Binibining Pilipinas Tourism 2014 was given to a 25 year old Filipino-Indian, Parul Shah, a BS Nursing graduate from the University of the Cordilleras. Kris Tiffany Janson, a Cebuana beauty and a financial analyst is the very first Binibining Pilipinas Intercontinental 2014. Laura Victoria Lehman was named first runner-up and Hannah Ruth Sison as second runner-up. The said winners of the titles are now fulfilling their duties and responsibilities as a beauty queen in our country. The pressure in on titleholders as they try to equal or surpass the recent good standing of the Philippines in the international competition. Succeeding in the pageant will also exhibit the exceptional talents and beauty of Filipina women and so every Filipino hope that they will bring home the crown. Last year, the Philippines brought home three beauty pageant titles: Mutya Johanna Datul won Miss Supranational, Bea Rose Santiago won Miss International, and Megan Young won Miss World. Among the judges in this year's Binibining Pilipinas include reigning Miss Universe titleholder Gabriela Isler from Venenzuela, ABS-CBN channel head Cory Vidanes, news anchor and chief correspondent of the ABS-CBN Korina Sanchez, collegiate basketball player Jeron Teng from De La Salle Green Archers, and incumbent senator Juan Edgardo Angara, among others.